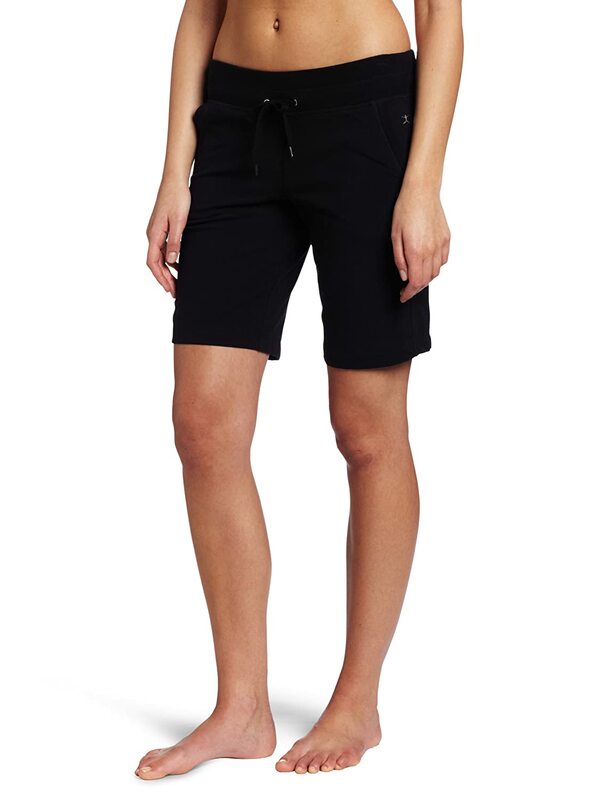 I don't know about you, but for me finding the perfect pair of active shorts is almost as difficult as finding the perfect bathing suit: It's a mission. Because, unlike our male counterparts - who can nonchalantly walk into a store, grab the nearest pair of running shorts off a rail without even trying them on, and still manage to look great in them regardless - us ladies have hips. And thighs. And all kinds of other interesting curves that need to be accommodated, uplifted and somehow flattered. Gah. So this weekend I set aside the entire Saturday morning for Mission Impossible Active Shorts. Because heaven knows its getting way too hot for my winter tights. My criteria was simple: Not too short ('cause there comes a certain age where short shorts and mommy legs just don't go together anymore); not too tight (just not my thing); not too hot ('cause African summers are just that: hot); comfortable; and bonus points if they manage to be flattering on top of all of that. Quite a mouth full. It took me years to find winter tights that meet all of those criteria (except, of course, the "not too hot" part). 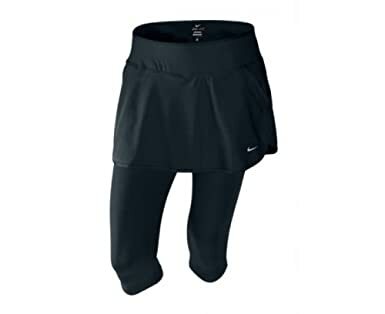 But I finally did, and each year I buy (or rather invest in, because they come at a cost) a few pairs of these: The Nike Women's Dri-Fit Running Skapri. 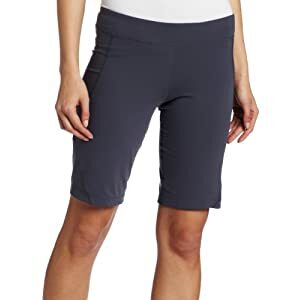 These are everything I've ever wanted in a winter running tight: They're flattering; they're feminine; they keep you snug, but not too warm; they have a back pocket for your keys/money/cellphone/MP3 player; and they're good quality. They just last and last and last. I prefer the all-black one, because they go better with my rainbow of running T's, but they come in all kinds of cool colours. Love. 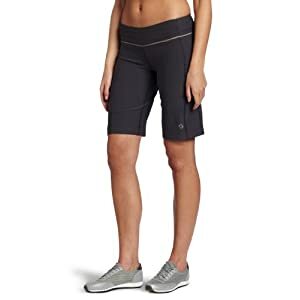 My search for the perfect pair of she-nerd active shorts also came to an unexpected end this past weekend: After only two stores and one and a half hour, I came across my new, all time favourite she-nerd active shorts: They're super comfortable (I can seriously live in these! ); not too short; not too tight; and flattering too! Enter the Nike Women's Obsessed Capri. Now you should know that I'm not a fan of harem style pants. I would have never even tried these on if it weren't for the fact that Baby Girl needed to be fed right next to the rail that they were on. But they are awesome. They look a tad poofy and long on the picture, but they're not: They fit me at knee length and don't look baggy at all. And they keep me really cool. Love them! So there you have it: Whether you're a she-nerd who prefers her active wear to be a tad more conservative, or a bombshell who can rock any style - there's no excuse not to get out there and move! 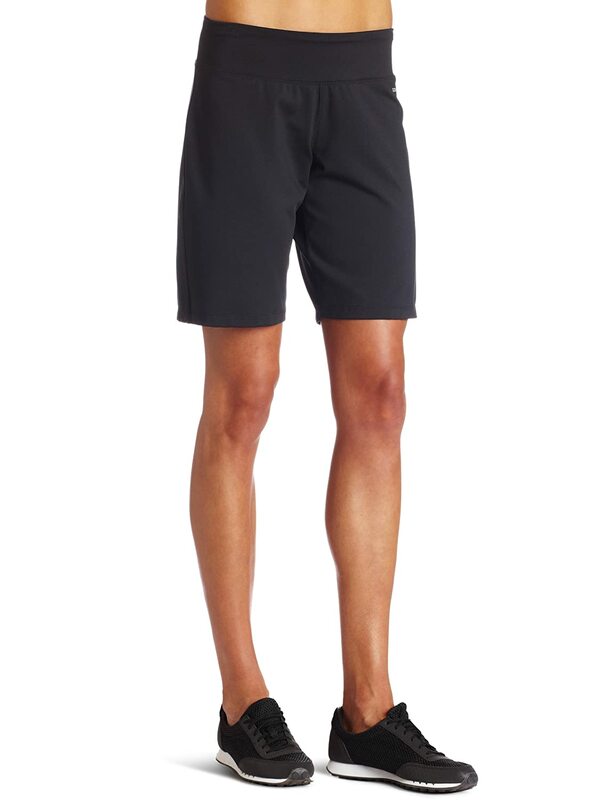 Well I'm not a woman but I can tell you shorts are the most difficult running apparel for me to buy. 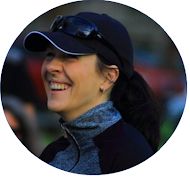 I really battle to get that perfect fit that I never think about or feel while running. Everything else is much easier to get.